When in the brink of making a decision, especially life changing ones, it takes as a while for us to decide. Sometimes we may have already decided but we change our mind. Why do we change our mind? Sometimes we are in doubt if we are making a good decision or if we are capable of making it up to our decision...cowardice creeps in... negativity creeps in. We often ask God for signs and yet when signs are given we still fear that we may be misinterpreting it. Of course, prudence and other stuff help us make better decisions. We may even say that we have carefully planned it and that it has been well thought of. But when do you actually do it? When will that decision take off? Your decision may just vanish into thin air. You are decided, yet not moving. We often equate opportunity with financial growth or loss. Opportunities do not only come in the form of financial growth. 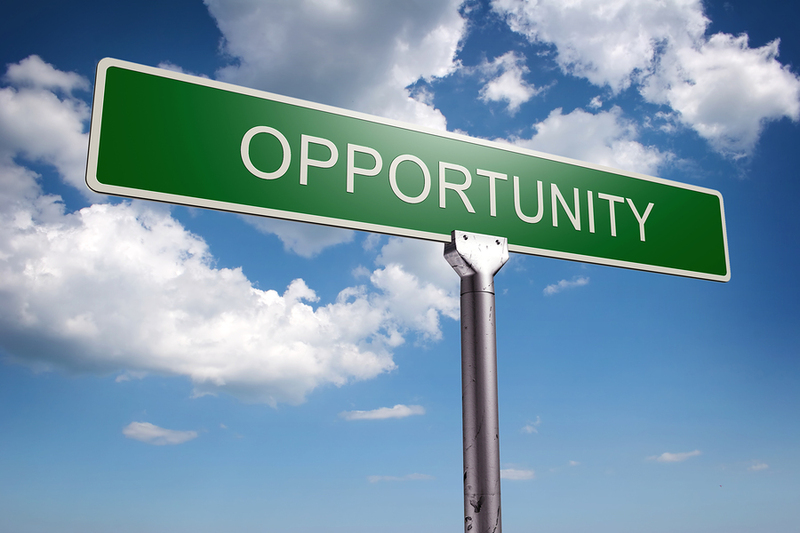 In every area of our life comes an opportunity. Financial opportunity is something that we usually seek but there are other areas where opportunities are overflowing such as opportunity for spiritual growth, opportunity for intellectual growth, opportunity for physical growth and others. I guess, opportunity in general brings growth into our whole being. We are given opportunities to help other people. When we respond to this, we allow our love for others to increase. We focus less on ourselves, on our personal needs. Through this we exercise compassion for others...therefore we grow. We are given opportunities to be courageous. Acting on an opportunity requires courage. Moving towards an opportunity puts out the best in us. It entails belief in yourself and your capabilities. We prepare ourselves for the consequences of our action. We muster the courage to do it. We exercise inner strength... therefore we grow. We are given opportunities to increase our faith. We also exercise our belief not only in ourselves but also to the God almighty who provides for us and looks after our every need. When we believe and do what we must, we exercise our faith...therefore we grow. Acting on an opportunity means finding the will power to overcome fear, hesitation, laziness and others. We find the courage to move on, to get our personal tools and face the promise of success. Your success piles up as you move towards your goal. Mini success comes when you find your purpose, when you realize that your purpose is greater than your fear, when you are able to say no to to the invitation of your comfort zone, when you are willing to make sacrifices, when your realize that your purpose is greater than what you may lose. Everything is truly a blessing!